AKIPRESS.COM - UK Defense Attache was robbed at the Kyrchyn gorge, UK Ambassador Robin Ord-Smith said on Twitter. 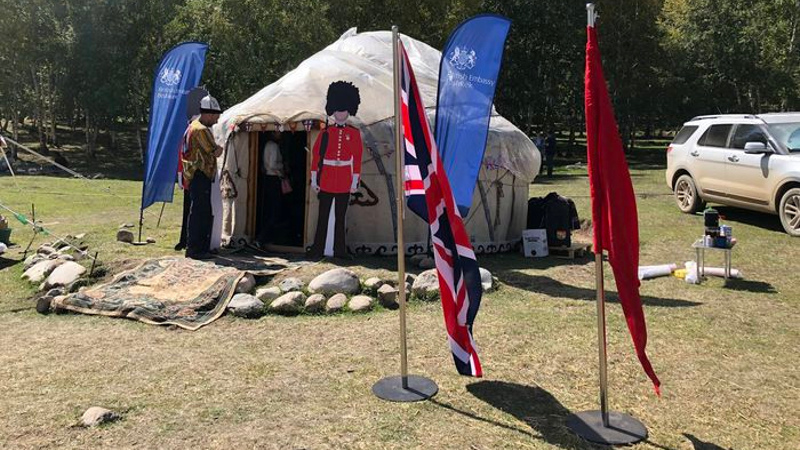 “Very disappointed to hear that my Defence Attaché colleague and his family had their tent at Kyrchyn robbed of valuable equipment,” the Ambassador said and expressed hope that police will apprehend the culprits and can return their belongings. The police are working to identify and hold perpetrators, Issyk-Kul region police department spokesperson Stalbek Usubakunov said. “In a report filed to police the Defense Attache said they came to the Kyrchyn gorge 2 days ago by car and put up a tent 100 m to the south-east of the ethnovillage. The place where the tent was put up is not guarded. They left their things in the tent and went to the ethnovillage to watch performance. Upon return, they found out that valuable things – pods for photo and video cameras – are missing from the backpack. The backpack remained in the tent,” Usubakunov said. The criminal probe was launched.